Watts up with that? Borrow a Kill-A-Watt Meter from the PSC Library! You can borrow more than just books from the PSC Library now! 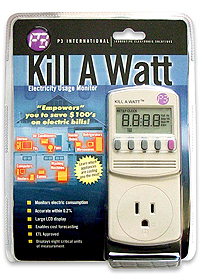 Kill-A-Watt Meters are now available at the PSC Library. So, are you low on beer money? Is your beer fridge empty and still plugged in? Have you ever wondered how much electricity your fridge uses? Or charging your phone takes? What about how much electricity is being used to sit back and watch Netflix all day? We have the solution to your questions. You can now borrow a Watt-Meter from the Paul Smith’s College Library and find out just how much electricity it takes to charge your phone! See how much beer money you could have if you just unplugged the fridge while it was empty! Watt meters are made available through the Library right from the front desk. 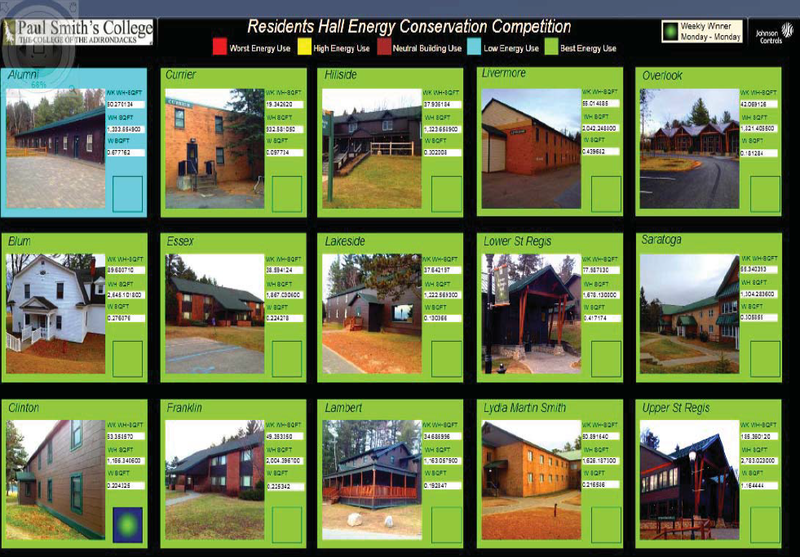 We challenge you to save as much energy as you can and send us your results! Check out the display on the flat screen in the Student Center this month- April 1st to April 22nd. We are running our fifth annual Energy Conservation Competition. Electric meters were purchased and installed in all 15 residence halls on campus in 2013 by student Jon Buyl. The goal of the energy meters was to show that changes in behavior can make a big difference in how much electricity is used on campus. 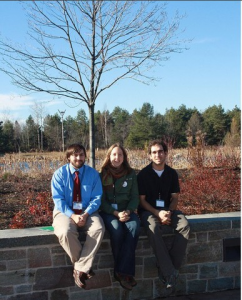 This was a $43,000 project that was funded by the Campus Sustainability Fund. Below is a description of what the colors represent. All color changes are based on BASELINE data that has been collected throughout the semester. Yellow: Legend will read “High Energy Use.” This value is a KW/sqft value which is above the neutral building load value (Brown) but not as high as those in red. To summarize, these buildings are use more energy than the neutral and students should be working to move these buildings back down into the “Neutral Building Load” range. Brown: Legend will read “Neutral Building Load.” This value is a KW/sqft value which falls in an acceptable range (tbd) of energy use. Students in this range should be concerned that they possibly could jump into the Yellow if additional load occurs. They should be working to get below this range and turn their background Blue which would show low energy use in their building. Blue: Legend will read “Low Energy Use.” This value is a KW/sqft value which demonstrates the building is performing better than the average (Brown) building. 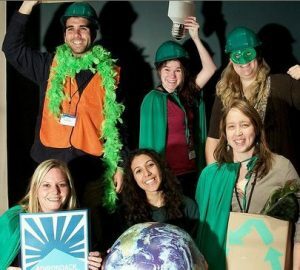 Students who live here, should be excited that they are doing their part in conserving energy, but should continue to push forward to get their building into the Green. Green: Legend will read “Best Energy Use.” This value is a KW/sqft value which demonstrates the building is performing in the best range possible. Students who live in these buildings should continue to do what they are doing in their conservation efforts and should be proud that their buildings are in this range. The buildings that spend the most time in this Green range will have the best chances to win the overall prize. Total KWH- This value is Total KWH for the building. This is a value that is accumulated continually. KWH/sq/ft – This value is Total KWH divided by sq/ft per building. This is a value that is accumulated continually. This gives an overall equal playing field no matter the size of the building. This will be the value which will continue to be accumulated over the month to award the overall winner of the Green Games Contest. KW/sq/ft- This value is based off of present demand. This value is the driver for the changing colors throughout the day. This value is changed in intervals of every 15 minutes. To sum this up, if the colors are going to change, the changes will occur once every 15 minutes based on the current usage in each building.